Have you been approached by a promoter of illegal super scheme? charge high fees and commissions, and you risk losing some or all of your super to them. Taking your super out from any super fund early, without meeting a condition of release, or encouraging others to do so is illegal. When can you legally access your super? Generally, you can only access your super when you reach preservation age and stop working or turn 65 years old. Currently, in Australia, the preservation age is 55 years old for those born before 1 July 1960. It then increases gradually. For anyone born after 30 June 1964, the preservation age is 60 years old. There are some special circumstances where you can legally access your super early. These include specific medical conditions or when you are experiencing severe financial hardship. 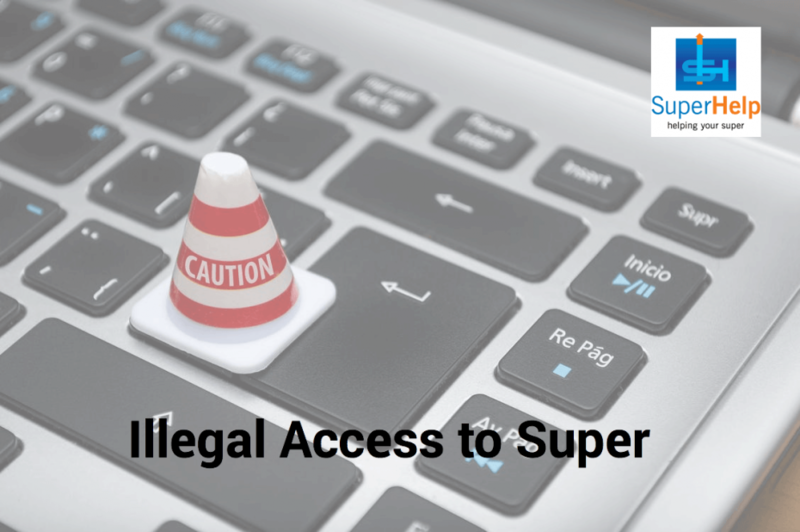 Severe penalties apply for illegally accessing your super early. If you set up an SMSF and knowingly illegally access your super early, you may incur a fine of up to $340,000 and a jail term of up to five years. Corporate trustees may incur up to $1.1 million fine. If you have been involved in illegal super access scheme, contact ATO immediately. ATO will take your voluntary disclosure and circumstances into account when determining any penalties.